Hi, i'm a computer engineer. Software:	Visual Studio, MS Office,slack,gitkraken, QtFramework, Maltego, metaesploit and framework, nmap, aircrack-ng, wireshark, netdiscover,zenmap, mitm, macchanger, armitage. And other tools for testing. 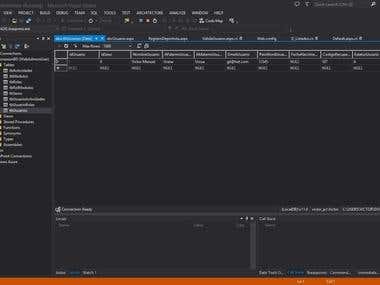 Databases:	sql server management studio sql server express, sqlite. Programming:	C,C++, .net, python, java, arduino. Systems:	UNIX ( Kaly linux, Parrot os , mint, ubuntu), Windows XP/ 7/10 Others: Network designer, vpn, wire up, wireless networks, OSI, TCP/IP, Firewall ( iptables) Personal projects: Personal systems for sale made on c# (scrum) Scripts for automate processes with python Experience with smb_ms17_010 (metaspliot) Experience at deny a ransomware attack Linux User Botnet simulacrum with batch and monero miners So if you are looking for someone who is highly committed,reliable,multi tasking and time oriented,then here I am. Thanks for viewing my profile & look forward to work with you.